As Baby Boomers face empty nests and retirement, many are using newfound free hours to help others and in doing so, are finding some of the greatest satisfaction in their lives. 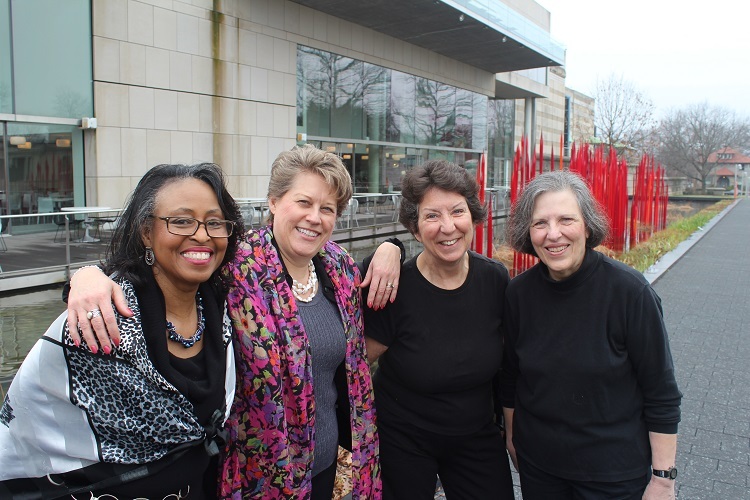 Following is the first of a series of non-profits in the Richmond area who are reaching out to welcome Baby Boomers into their service ranks. Please check out what non-profits are active where you live and consider finding your volunteer home. I want to tell you about opportunities for Boomers to get involved at the Richmond Metropolitan Habitat for Humanity ReStore, where I am the Procurement Manager. First, let me provide a little background on Richmond Habitat in general and more specifically the ReStore. The Richmond Metropolitan affiliate of Habitat for Humanity has been around since 1986, and our mission is to build homes, communities, and hope in Richmond City, and Chesterfield and Henrico counties. By partnering with eligible families and using volunteer labor, Richmond Habitat seeks to bring folks out of poverty for generations by providing safe, affordable housing. 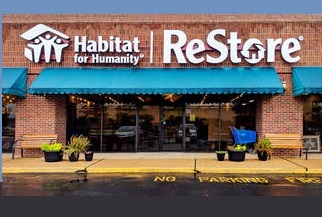 The ReStore, a retail outlet that sells donated furniture and building materials, is the main fundraising arm of our organization and generates a large chunk of our revenue. We opened a second location at 1201 Mall Drive on April 28, adjacent to Chesterfield Towne Center. This location has been many years in the making, and we are very excited to engage with Chesterfield County! Our original location in Northside is about 3 minutes from Broad and Belvidere at 1901 Roane Street. When people think of volunteering with Habitat they usually envision swinging a hammer, but we also have a great need for volunteers at the ReStore. The Chesterfield store is especially convenient as it is off of Midlothian Turnpike. Volunteers allow us to operate with a small staff, reducing our overhead. We mostly need help with pricing items and getting them out to the sales floor, but we also would love to have committed volunteers to cashier and ride along on our donations truck. Speaking of our donations truck, we have three, 26-foot box trucks that we send out every day to collect residential and corporate donations. If any of you are in downsizing mode, definitely reach out to us to schedule a donation pick up by visiting our website. You can also drop off at our locations during store hours. In regards to our corporate donations, if any of you know folks in construction, manufacturing or any business that might have an excess of furniture or building materials please reach out! With this new store, we see an opportunity to connect with Baby Boomers in Chesterfield and provide a hub for volunteering and fellowship. Because of the location, this store is more geared towards home décor and furniture rather than construction materials. We love that when people purchase items to improve their home, they are helping provide someone else with a home as well. Please don’t hesitate to reach out to us if you would like any more information! Joy Whitehurst is a Richmond native who recently moved back to Richmond from New York City, and she is loving it! She attended NYU’s Gallatin School of Individualized Study where she concentrated in Sociology and Visual Art. She then took a job merchandising product and fabricating window displays on the visual team at Anthropologie’s flagship in Rockefeller Center. After two years, she was ready for more mission focused work and wanted to transition to a non-profit environment. Her job at Habitat is perfect for her, because she can combine her passion for creating connections with her love of retail and DIY. She lives in the Fan, drinks way too much Lamplighter coffee, and loves to explore new places in Richmond and all over the world.